I debated whether or not to post about Scott Walker’s victory in Wisconsin’s recall election, and what it might mean for education. While I’m not in general a huge fan of teachers’ unions, I also dislike blaming the unions for all education woes. Associated Press Wisconsin Gov. Scott Walker. Reading Rick Hess’s Education Week blog this morning changed my mind. Unions and liberals have argued that education “reform” is really about starving public schools of money and resources. Mr. Walker’s budget victory has shown that structural government reform is the surest way to put more dollars into kids. It’s resonating because taxpayers see it working. In addition to limiting collective bargaining, the Walker reforms let schools competitively bid on health insurance, asked employees to contribute to health and pension plans, and introduced merit pay. The Legislative Fiscal Bureau estimates the pension provision alone will save schools $600 million over two years, while competitive health bidding is already saving $220 per student per year. Places like the New Berlin school district, with its 4,700 students, have already reduced health-care costs by $2.3 million, retirement costs by $1.25 million, and other liabilities by $15 million. The district hired new staff, reduced class sizes, and added programs. The Shorewood district saved $537,000 simply by bidding out its health contract (previously run by a union outfit), and also reduced insurance premiums for its teachers. Self-proclaimed advocates of educators and public education have become so vitriolic, mean-spirited, arrogant, and unreasoning that it’s becoming inane to anyone who’s not a fellow true believer. This means that they’re poorly positioned to convince Americans, and painfully uninteresting to anyone who doesn’t agree with them already. Rick Hess isn’t usually this testy. But I can easily understand why a guy who has spent most of his professional life both fighting for education reform AND fighting off simplistic “it’s all the unions’ fault” arguments gets frustrated to be accused, once again, of wanting to destroy public education. Hopefully, it will be mentioned by Mary that the union situation in Wisconsin and Utah is significantly different. To say that UEA has the same “stranglehold” over public education or whatever in Utah is ridiculous nonsense, but is a mantra that often bantered on these blogs and by our politicians in the legislature. Hopefully Mary, who often attacks teachers and public education, will readily recognize the situations in the two tates are way different and that teachers and schools in Utah have been under assault, sometimes with Mary sadly leading the charge, for quite some time now. I ask Mary to clarify completely the record. What do Utah teachers make compared to Wisconsin? What are the differences between the benefit packages teachers get in each state? How about class sizes? The Utah legislature recently restructured the pension packages a few years back in a panic situation and nothing based on the past longterm performances and funding of these pensions, and I guess for many conservatives Utah is “way ahead” of the curve in “attacking these ‘extravagant’ salaries and benefits Utah teachers receive”. In reality Utah teachers and public schools have basically been starved to death but I’m sure there may be a little bit of blood left to squeeze out of the turnip…maybe. I wonder if Mary will give this honest accounting, or if she will say what happened in Wisconsin needs to happen in Utah even though the teacher compensation and education situations in each state are way different, and Utah teachers and schools are much worse off when it comes compensation, benefits (and with the schools generally) funding. Oh, c’mon. I mention in almost every posting that Utah’s education spending (at least per student – per taxpayer is a somewhat different story, given larger families) and teacher compensation are low compared with other states. And I sympathize with Utah teachers who worry that a backlash against public employee unions will hurt their prospects even as they’ve failed to reap the benefits that public employees have won in other states. But – I think teachers in Utah and everywhere else should think about the implications of the Wisconsin vote and consider whether the best strategy moving forward is to fight for the status quo or to work with legislatures and school districts to reform teacher compensation models. In the state where I now pay most of my taxes – California – pension costs are sucking money out of the school system. This week voters in both San Diego and San Jose rebelled against public pensions. There will undoubtedly be a legal fight over the changes voters adopted, but I think nationwide we’ll see an effort to reform public pensions. Maybe this presents teachers and communities with an opportunity to rethink a pay structure that assumes, essentially, lifetime employment in one profession (education) and probably with one employer. Most of private industry has moved away from this model, not only to reduce costs but also to reflect a reality that most people now change employers and even professions several times in a lifetime. There are other elements of teacher compensation that could use revisiting, including a lock-step pay and promotion system that fails to reflect shortages and surpluses in some key areas; and a reward only for advanced degrees (with little or no evidence that they make a difference) rather than performance. What do I think? 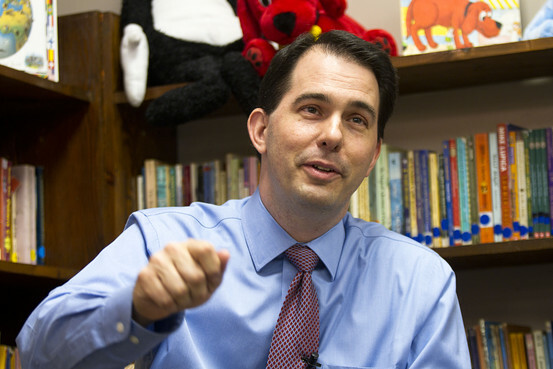 I think Wisconsin spent $14,858 per pupil in 2012. Utah’s weighted pupil unit was increased to $2,842 per student this year, with total expnditures at $6,356. Wow! What a difference in funding! I also think that private school personnel might not understand just how frugal the public schools have to be in Utah ( In comparison, Juan Diego’s regular tuition currently sits at $9,465; over $3K more per student than in a public school in Utah!) We public personnel operate on such a limited shoestring budget that any talks about more cuts here are just spiteful. I must agree with Howard and Ryan! I started participating in this blog to be part of an intelligent discussion on educational issues and to learn from others and share my knowledge gained over the last twenty five years in the state of Utah. I have done my best to be civil and to provide factual information. The continuous backdoor bashing of the teachers in traditional public schools and the teachers union shows a bias and quite honestly a lack of knowledge about what is happening in traditional public education in this state as well as across the country. I would have expected an educator to take time to understand both sides of issues before taking a side. Having worked as a local leader and attended the National Education Association Convention as well as many state meetings, you are completely mistaken about the direction that national state and local teacher unions are going, and the many aspects of education that they are involved in. You quote often from Education Weekly and the Wall Street Journal as if they are providing unbiased information on education issues. Have you ever thought about using other sources of information that are maybe not quite so far to the right? In reviewing many of the posts that you have made and the articles you have quoted I have yet to find one that I would call supportive of traditional public education. There have been many that are supportive of charter schools, there have been that have been negative toward education spending and unions. I can only assume you find nothing of worth in our current traditional public education system. True educators take the time to look at both sides of an issue and do not take what is reported in a newspaper on the television or in a publication as the truth the whole truth and nothing but the truth. I believe that the only way we can solve problems is to talk about them, that was my purpose for getting involved with this blog. One of the great problems we have in our country today is that to many people already know all the answers and only look for those opinions that reflect their already held beliefs. This is my last post because this is blog is not a discussion of educational issues, it is a place where we use articles from newspapers, journals and magazines that in most cases have a bias to beat up traditional public education. I am sad that we cannot have an intellectual discussion about real problems as the relate to education. I hope you don’t retreat Fred 44. I have read your blog responses here and in other places and I enjoy your points and well argued positions though at times I may see things slightly different. Mary: The problem is like Fred 44 I read these blogs hopeful for an honest discourse on education. However, an agenda has slowly gripped these blogs as you present them and Fred 44 has called you on the carpet as I have. I guess public school teachers in Utah should even be more fearful that what happened in Wisconsin could happen here in Utah. In fact, it already has. This is not a Union state, never was. To me, I think teachers in Wisconsin are probably compensated like teachers should be, because to me, teachers are a valuable asset to our society. But what happened in Wisconsin could embolden our legislature in Utah to hammer teachers already, and again, they are already much more hammered than Wisconsin right now, even after the steps Walker took. Bottom line, TEACHERS IN UTAH DON’T NEED THIS. They need to be appreciated more, not just a few words cast their way. The Deseret News has been exposed for its agenda to basically dismantle public schools and Mary you have become their secret weapon. At least with Howard Stephenson, you can see him a mile away. He’s not a wolf in sheep’s clothing. As I said in another post, I hope that after the legislature effectively starves Utah public education to death, that whatever comes out of it (charters, vouchers, more private schools, home schooling for everyone, or whatever) all works out. However, I am fearful that the worst is ahead of us, that are children will be shortchanged. Does public education have its problems? Surely. Are their bad teachers in education? Of course. But I believe most teachers are doing their jobs as well as they can in a very, restrictive and brutal environment. I believe most schools are trying their best to educate with huge structural challenges. I believe if public education was actually funded well in this state, and that teachers were truly valued, Utah could really be a true beacon of excellence. Mary, I’ve never felt that you were only pushing one side of an agenda. You have generally positive feelings toward private schools (which makes sense, given that you work at one) and I have no problem with that. @Ryan: you suggest that per pupil spending is significantly lower (which it is) in Utah. The lesson I get from this is that Wisconsin could cut spending a great deal, and we should expect the same outcomes as Utah schools. @Howard Beale and others: I wonder if you talked with a real libertarian–someone who believes in privatizing schools, and someone who finds “nothing of worth in our current education system”–if they would find themselves in agreement with your assessment of Mary. Somehow, I doubt it. On the East Coast (where I teach) the teachers’ unions are far more powerful, and cause more problems. My union forces me to pay dues, for instance. That’s not fair. But I also think that Mary has been very careful to point out (and I agree) that unions are not the root problem of our education woes. I agree that they make the problems more complex, but that doesn’t mean that they are the problem. I think that this is exactly what Mary has been arguing, by the way. I would agree with Kim Strassel and others on the same point. I haven’t accused Mary of being a Libertarian. I am not sure what her end game is. The Libertarian position of privatizing schools tomorrow (today if they could) is not practical. Having two children that actually attended private schools for a time, they have their issues and to be exclusionary they generally don’t want children of color or children that are special needs. Could Mary, or anyone else, prove me wrong, say show me that Juan Diego or Judge Memorial have similar demographics in these areas of children of color or special needs students as the Salt Lake County schools that surround them? My teacher-pleasing daughter was the darling of the school, my son who was special needs, well let’s just say we got a call three weeks into the school year saying we needed to consider another alternative–they recommended a PUBLIC school that could service his special education needs. Again, I wonder after public education is starved to death in Utah what exactly will come about? But I don’t think our Legislature has a clue either. I am not willing to go down that route. I think, if supported, public education in Utah could do many great things, and I said be a beacon to other states for efficiency and results. One of the reasons I did put my daughter and son in private school kindergarten was because of the MUCH lower class sizes the private school offered. Now that my daughter is in public school, I see no difference in quality between private or public schools in Utah if one carefully chooses the right public school. However, Utah schools have slid a bit overall and I think that is a result of less funding rather than poor teaching or certainly the UEA (union), which is less powerful now than ever. There is no correlation between unions and what I see as some potential issues for Utah public schools. I’m not saying that Wisconsin couldn’t be more efficient with its dollars. And it might be fair to say their union is too powerful (but again this is NOT the case here in Utah). But I don’t think cutting back spending to Utah levels will get better results, it would be catastrophic for Wisconsin. I’d rather view things like this, what could Utah schools do, with generally supportive parents and with teachers who by and large believe in traditional values, with this type of funding? I think the sky is the limit. Knowing that isn’t realistic (to have Wisconsin type of funding), I would just like to see Utah not in dead last place for funding, or perhaps close the gap between Utah and the next lowest state (Idaho). I think things would get better. But I will say this, continue this poor funding of Utah schools at our own peril, which is probably what I see Mary and the Utah Legislature generally wanting. I think as our students become more diverse, and the challenges this brings, educating on the cheap will lead to some bad results for our children and schools. Again, this is probably of some grand plan of legislature to restructure education in some unknown way, but getting to wherever that destination is, won’t be easy on our children in our schools now, or in the immediate future. I recognize that some of your irritated comments make a fair point: My posting WAS one-sided. Yes, I’m well aware that Utah is a right to work state, and that the policies that most irked Wisconsin voters, such as school districts adopting expensive, monopoly union-run health insurance systems, simply don’t apply in Utah. And yes, salaries and per student spending are MUCH higher in Wisconsin. I’ve made these points about how Utah doesn’t necessarily reflect nationwide trends before . . . but I should have made them again when I wrote about Wisconsin. For what it’s worth, I am not just writing from a Utah perspective or for a Utah audience. As I’ve mentioned before in my posts, I now live most of the year in California, which is confronting the dilemma of meeting huge unfunded pension obligations while maintaining funding for schools, even as its ever-increasing taxes drive jobs to, well, Utah among other states. But I also think that the Wisconsin experience has some relevance to the education debate in Utah. Many of Walker’s opponents threw out vitriolic accusations: Anyone who supported the governor hated teachers, intended to dismantle public education, aimed to destroy unions (though more than a third of union households voted for Walker), etc. Many commentators now think this strategy backfired in Wisconsin, a highly “progressive” state and the first in the nation to grant collective bargaining rights to government workers. The comments on this blog are much more civil – thank you. Let me just note on behalf of the Deseret News that I write an opinion blog, which means I express my opinion, not the newspaper’s. And I’d also note that I have never failed to approve a comment, however critical. (I have turned down a few Viagra ads.) So I hope you won’t give up on commenting. Also, if you have an article taking an opposing view that you’d like to post, just include it in the comment. Teachers have lots of good ideas about how education could be improved. I think the recent discussion on this blog about “no excuses” policies offered a good example. So did our exchanges earlier this year about encouraging administrators to step up to their responsibilities for evaluating teachers and firing poor performers. But a “man the barricades” defense of the existing system isn’t going to resonate very well at a time when states are strapped for cash, test scores remain discouragingly stagnant, and disadvantaged students fall, if anything, further behind. That’s true in Utah as well as in Wisconsin or California. Meanwhile, I’ll continue to approve comments that disagree with my position, or question my commitment to education. So bring ’em on. I do applaud on that end Mary for putting up comments you disagree with rather than picking or choosing or censoring altogether. I must give credit to where credit is due. I can’t even say I’ve disagreed with everything you’ve said as my past blogs would also indicate. Further, any dialogue sometimes have differing points of view or positions. I hope I haven’t strayed into the personal but attack the position or point of view. If I have failed to do that, I do feel bad. What my end game argument for this particular thing, I am hopeful that our leaders in the legislature and readers of this blog in particular do see the difference between Wisconsin and Utah. Having the legislature further starve Utah public education because they think what happened in Wisconsin gives them gravitas to do so, will really hurt our public schools in Utah, which are very underfunded and have huge challenges ahead as our state grows diverse. This is not the time to use what happened in Wisconsin as a hammer to lay it on the UEA or the teachers because again, the two states are vastly different. This is what concerned me most with this blog. To use what happened in Wisconsin and “apply” those “lessons” against the UEA or teachers (or our state employees for that matter) when the conditions of the two situations again are vastly different. That was a very gracious reply. Thanks. I completely agree that the Utah legislature should not leap to the conclusion that the Wisconsin vote signaled a voter desire to starve education, especially in Utah. For what it’s worth, I don’t think that’s the message that the governor (or the business community) are sending these days. Looking for ways to spend smarter – note I am not saying spend less – is another matter. I continue to think that the whole system for teacher compensation and preparation could really use a fresh look. But my bottom line is that a more flexible pay and entry system might make it possible (maybe even necessary!) to raise teacher salaries. I do NOT believe that teachers are overpaid, especially in Utah. But I strongly suspect that in this state especially, and in these tight economic times in most states generally, teachers are more likely to win raises AND gain appreciation if we move away from a rigid and outmoded compensation system.